More discussion on some of the hookiest earworms from our formative years. Bic Lighters: "Coffee? Tea? A flick of my bic?" Consumers Distributing: "It's right in the book." Yellow Pages: "Let your fingers do the walking." everyone say it with me AUTOMAN! AUTOMAN! AUTOMAN! AUTOMAN! AUTOOOOOOOOOOOMAN! GET THE HINT ANTHONY DAVE AND GREG JAMIE. p s just so you know I'm not mad I just wanted to get your full attention Jamie. Oh and it would be "fewer" calories! no more jingles no more looks lets get back to the old school retro television for goodness sake lol Jamie. 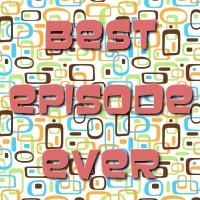 Anthony , Greg , and Dave , stumbled and fumbled with Best Episode Ever know more being lax. for a good long while. the ball is at the 50 yard line make you move make are day. Jamie. My father drank Carlsberg beer as well. I vaguely remember commercials about it. I don't recall too many cigarette ads. Growing up watching TV on weekends, the ads tend to toys on Saturday morning and previews of up coming shows. 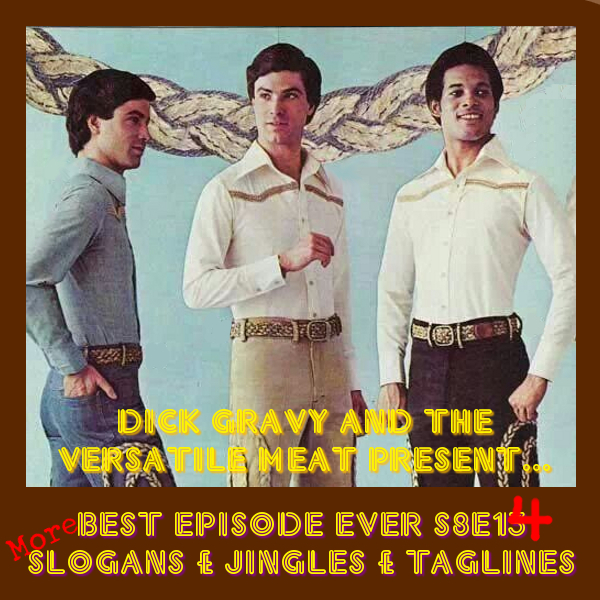 Could you do episodes based around 3 horrible series (or just one year wonders) from one specific season going from 1974 - 1979? So for 1978 shows never discussed shows like Grandpa Goes to Washington, In the Beginning, Whodunnit (w/ Ed McMahon)? Bit of trivia I just learned about the Maxell commercials (which you didn't talk about, but did mention), Peter Murphy, lead singer of Bauhaus, was the model in those advertisements! hey sam glad to see u again I was kind of worried about you hope everything is ok in your world your friend Jamie. Those doilies on the backs of chairs were called antimacassars! I only know because I ran across it in some Victorian-era children's book and looked it up--which means Victorian men must have goop in their hair, too. The "I Am Stuck on Bandaid" jingle was written by Barry Manilow, as was the "Like a Good Neighbor" jingle. Two on the list! Hebrew National Franks (which are not truly kosher, by the way!) is still using that same slogan. speaking of kosher hot dogs do you guys remember vh1 when had the tv show Hogan knows best there was an episode from the last season called kosher mania it was halrious watcha going to do hulk Hogan whe kosher mania runs wild on you. lol Jamie. anbody remember the hamms beer commercials with the dancing bear from the land of sky blue waters hamms mmmmmmmmmmm hamms. Jamie.